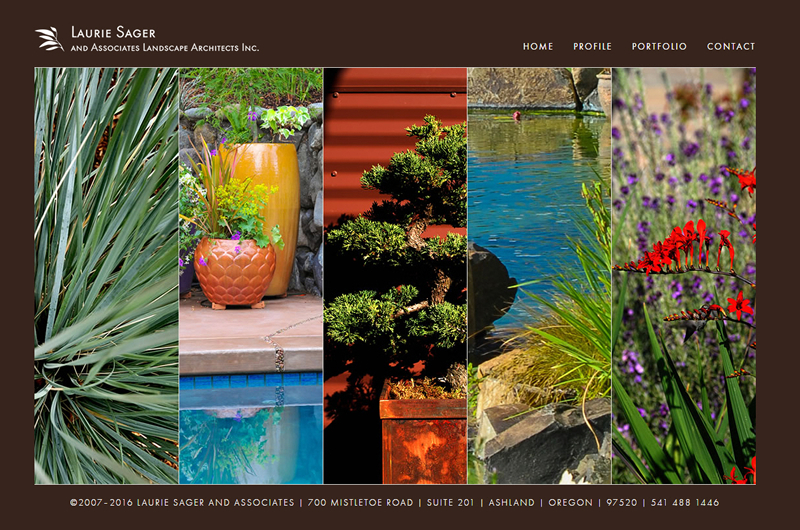 Laurie Sager and Associates are a dynamic, talented powerhouse in the field of landscape architecture. This site features their work as showcased by David Gibb’s stunning photography. ruby slipper owes much to the previous designer KDG who came up with an elegant layout and design. We re-purposed the paneled home page slideshow, the simple framework and leaf motif. New this time around are larger images, responsive design that works on any device, and a slick responsive portfolio. Click any project and be amazed at the fine craftsmanship. CLIENT: Laurie Sager and Associates Landscape Architects Inc. Working on the website with Erin was an amazing experience for me, both fun and creative! The end product is beautiful and super functional, just what I was looking for. Erin is at the top of my list for providing high quality service and invaluable expertise, within budget and on time. I am so happy to have found Erin and to know that she is a part of my professional team. I highly recommend Ruby Slipper Design!